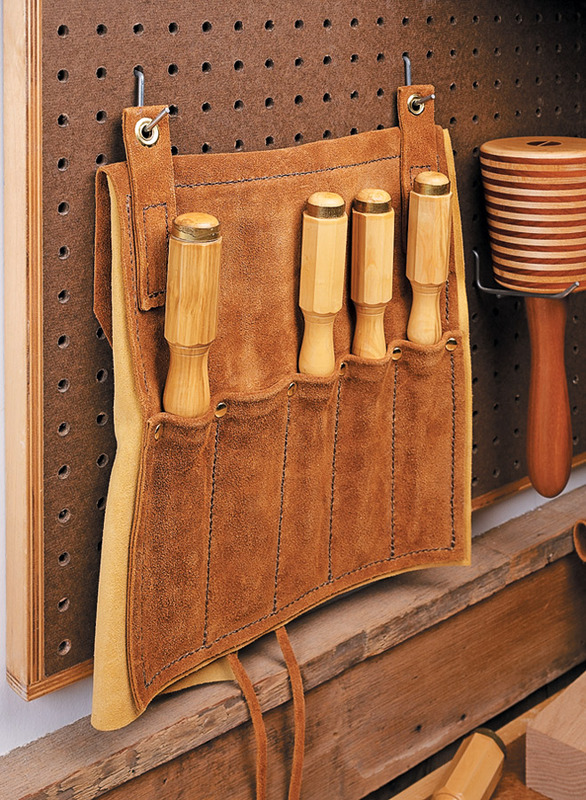 Create rugged, great-looking tool holders with just a few tools, some scraps of leather, and an afternoon. 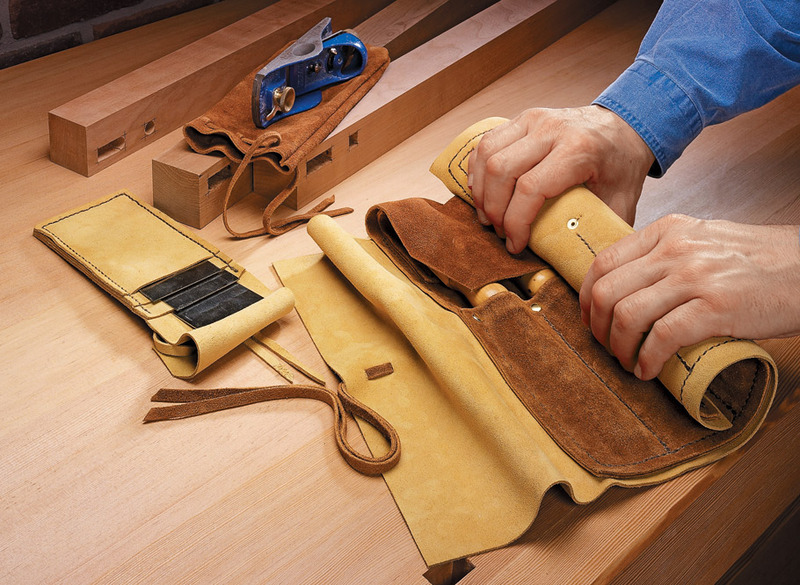 Purchased leather tool holders make it easy to both protect and transport edge tools like chisels, scrapers, and small planes. 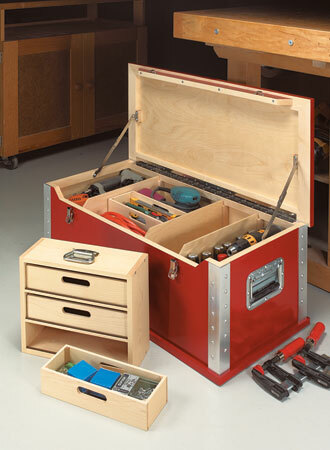 The only problem is that these tool holders are expensive and usually designed to accommodate a specific set of tools. The good news is you can easily make your own custom tool holders. 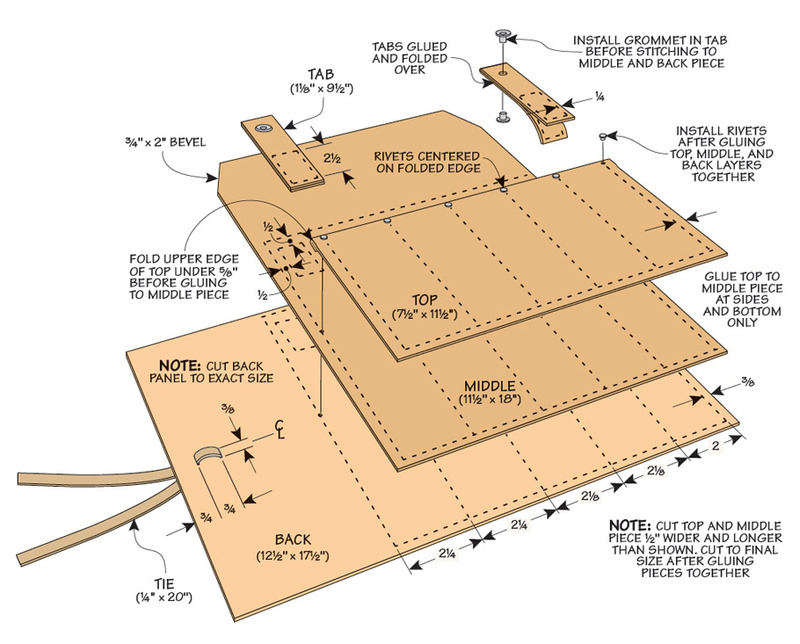 The techniques you’ll use are detailed in this plan. 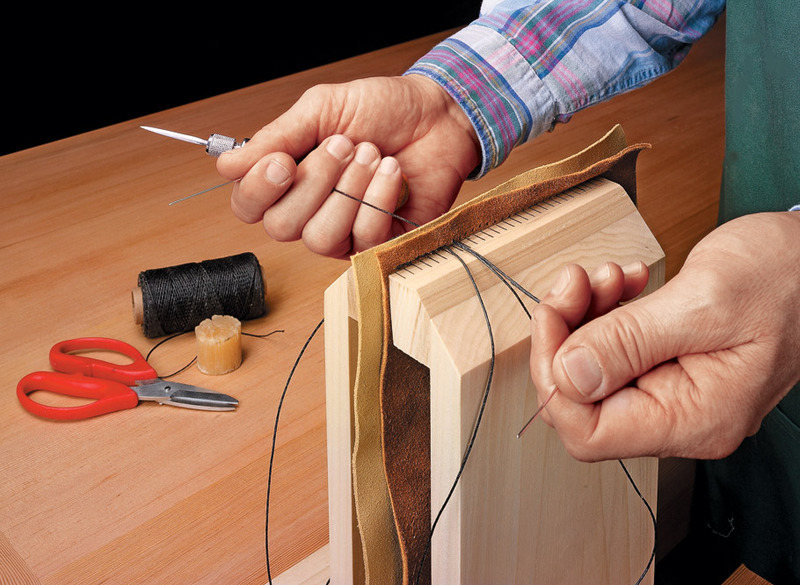 In the photo, you can see how to combine these techniques to make a chisel roll, block plane pouch, and scraper wallet. Of course, you can also mix and match those techniques and these ideas to design your own tool holder. 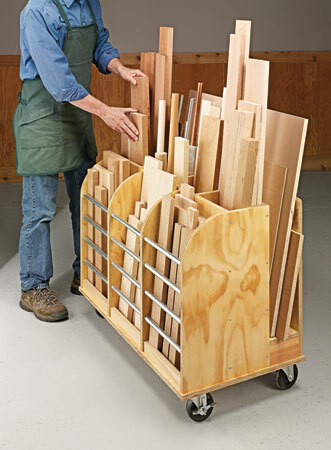 A storage cart that tucks away under the extension wing of a table saw isn’t exactly a new idea. But this one adds a unique twist. 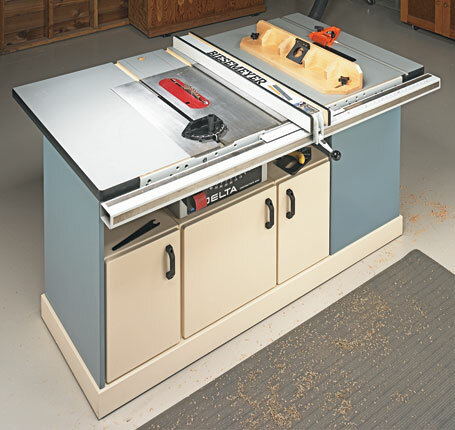 This compact shop storage cabinet does double duty as a top-notch router table, as well as, housing all of your accessories. This turn-of-the-century tool chest made from riftsawn oak is as useful for storing tools today as it was 100 years ago.